Trevor is a well-known and loved member of the Sunnyfield and Tamworth Community. 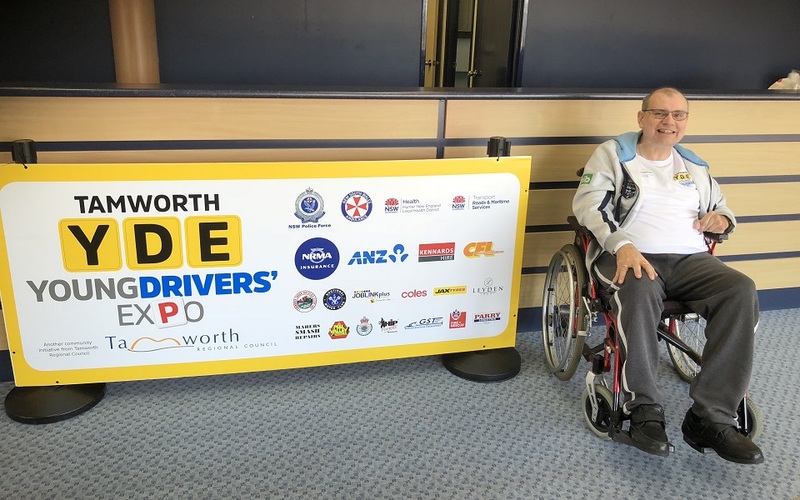 He recently spoke at the annual Young Drivers Expo in Tamworth about his personal experience with brain injury resulting from a car accident. The Young Drivers Expo is an annual event that highlights the importance of safe driving to year 11 and 12 students. Trevor has been contributing his time to this event since 2013 and it is his honesty, dedication and sense of humour that is so captivating to a young audience. Trevor’s story and contribution to this event plays an important role in delivering messages of safety to young people learning to drive.